Manufacturer Merck & Co. Inc.
Doctors prescribe Fosamax to treat osteoporosis. It works by slowing down the body’s process of breaking down bone. Merck makes the medication, and it also sells a formula called Fosamax Plus D, which combines the active ingredient in Fosamax, alendronate sodium, with vitamin D3. Fosamax (alendronate sodium) belongs to a drug class called bisphosphonates. 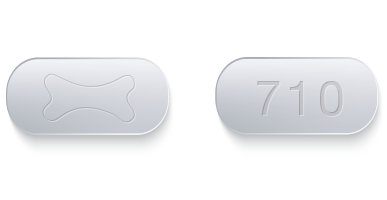 Doctors prescribe these drugs to treat osteoporosis. Bisphosphonates work by slowing the body’s natural process of breaking down bone, which helps maintain or increase bone density. 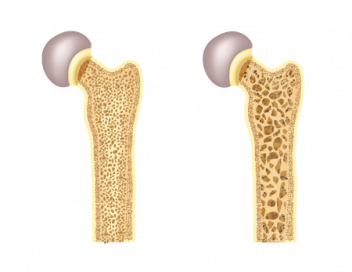 When the U.S. Food and Drug Administration approved the medication in 1995, it was the first drug in its class to be labeled by the FDA to treat and prevent osteoporosis. In 2005, the FDA approved Fosamax Plus D, which combines the active ingredient in the original formula with cholecalciferol, or vitamin D3. Merck & Co. Inc. makes both medications. The FDA approved the first generic version of the drug in 2008. The most common side effects of Fosamax during clinical trials included abdominal pain, nausea, acid regurgitation, indigestion, constipation, diarrhea and musculoskeletal pain. Since the drug became available in the United States, the FDA has required Merck to add warnings to the drug’s label about osteonecrosis of the jaw and thighbone fractures. The label also warns of esophagus problems, low calcium levels in your blood, and bone, joint, or muscle pain. Some people who suffered these side effects filed lawsuits against Merck. The company has faced scrutiny for its controversial marketing practices of the drug. These practices include using misleading ads and publishing fake journal articles. Throughout your life, the bones in your body are in a constant state of turnover. This dynamic remodeling process includes the breakdown and removal of old bone, which is known as resorption, and the formation of new bone, or ossification. But aging, some medications such as prednisone, and certain health conditions can disrupt the remodeling process and cause the body to break down more bone than it replaces. This causes bones to become weaker and thinner. 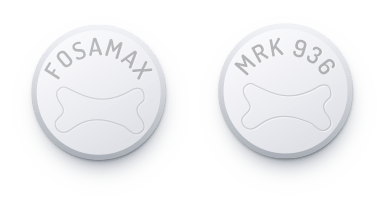 Fosamax treats bone loss, or osteoporosis, by slowing the resorption process. In clinical studies on animals, alendronate adhered to bones in rats and mice. Alendronate prevented resorption and new bone formed on top of the drug molecules, improving bone thickness. In order to keep slowing resorption and forming new bone, patients have to keep taking Fosamax. Bisphosphonates like Fosamax reduce the risk of devastating fractures of the hip and spine caused by osteoporosis. Researchers looked at biomarkers of bone resorption in urine of postmenopausal women taking 10 mg of Fosamax a day. By tracking these markers, researchers were able to gauge how effective the drug was. Study results showed a 50 percent to 70 percent reduction in resorption with treatment of up to five years. These resorption levels were similar to those found in premenopausal women. While patients usually can’t see or feel a difference, the medications have been shown to improve bone density in as little as one month. The improvement plateaued at three to six months after starting treatment, according to the medication insert. Studies show the medication is effective at reducing the risk of spine, hip and wrist fractures in women with osteoporosis. According to an article published online in Harvard Health Publications, the drug can improve bone density for at least 10 years. Fosamax comes as a pill or liquid, and patients can take it once a week or once a day, depending on the treatment. Fosamax Plus D only comes in a tablet that patients take once a week. Doctors will determine the dosage for each patient. According to the medication package insert, the recommended starting dosages are one 10 mg tablet once daily or a 70 mg tablet or oral solution once weekly. The recommended starting dose of Fosamax Plus D is 70 mg alendronate/2800 international units vitamin D3 or 70 mg alendronate/5600 international units vitamin D3 tablet once weekly. It’s very important to take the medication exactly as directed by your doctor. Not doing so could decrease the medicine’s effectiveness or cause side effects. Because the medicine works best when taken on an empty stomach, the drug should be taken at least a half hour before eating breakfast with a full glass of water. Patients should not lie down for at least 30 minutes after taking the pill, and they should not eat, drink or take any other medications within 30 minutes of taking Fosamax. Patients should not take the drug at bedtime or before getting up for the day. Because of how Fosamax works and how it is metabolized by the body, certain people should not take the drug. The drug is known to cause irritation to the gastrointestinal lining and may worsen underlying diseases, including Barrett’s esophagus, dysphagia and gastritis. Doctors should be cautious when prescribing the medication to patients with preexisting conditions. Fosamax and Fosamax Plus D are not approved for use in children. People at increased risk of aspiration, a condition where food or liquid is breathed into the airways, should not take the oral solution. Fosamax is known to interact with several common medications. Some make the drug less effective, while others can increase the risk of side effects. For example, Aspirin and nonsteroidal anti-inflammatory drugs such as ibuprofen, naproxen and anaprox may increase stomach irritation. And calcium supplements and antacids can prevent Fosamax absorption and make the drug less effective. Patients are encouraged to wait at least 30 minutes to an hour after taking Fosamax to take any oral medications, including calcium supplements and antacids, according to the drug’s label. In July 1997, the FDA sent Merck a warning for publishing misleading information in a brochure that targeted postmenopausal women. The agency said the brochure overstated the population eligible for therapy with Fosamax. The FDA called the content “misleading and in violation of the Federal Food, Drug and Cosmetic Act.” It asked the company to immediately stop distributing and using the brochure and other promotional materials that contained similar themes. The ad stated, “Menopause is the single most important cause of osteoporosis.” According to the FDA, this statement is false and implies that all women with menopause develop osteoporosis. The agency had previously commented on the same issue in December 1995 and April 1997. In order to reach the millions at risk for osteoporosis, Merck founded its nonprofit Bone Research Institute to encourage physicians to do bone exams. With it, the company was not only able to reach the osteoporosis market, but also it convinced medical professionals that osteopenia, lower bone density not severe enough to be considered osteoporosis, needed treatment as well. Before Fosamax, osteopenia was rarely diagnosed or treated because it doesn’t cause disabling bone breaks. Critics say Merck created a disease simply to sell more Fosamax. It started in 1995, when the company hired Jeremy Allen, formerly of a massive pharmaceutical research company called IMS Health, to help them sell Fosamax. The drug giant hired Allen after its initial sales were poor, he told National Public Radio in 2009. Allen’s solution was to get large numbers of women to get their bones scanned and be diagnosed with osteoporosis. 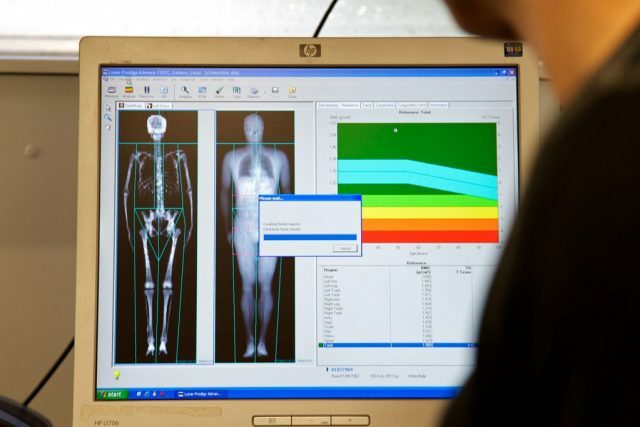 The company then approached companies to fund the development of smaller, cheaper bone scanners that experts said should not be used to diagnose osteoporosis. After the machines were ready, Merck funded trials to get the machines past the FDA. Then, it sent out its sales team with information on the devices and created leasing programs to help doctors buy them. The pharma giant then lobbied for legislation called the Bone Mass Measurement Act to get Medicare to pay for the scans. Fosamax sales soared into the billions within the next few years as a result of the bone scanners. In 2009, The Scientist magazine reported that Merck had paid publisher Elsevier to produce the Australasian Journal of Bone and Joint Medicine, which looked like a peer-reviewed medical journal. In reality, it was a marketing tool for Fosamax and other Merck products including its then blockbuster pain reliever, Vioxx. The journals were published from 2003 to 2004. Merck paid the academic publisher Elsevier to print a compilation of articles that resembled a peer-reviewed medical journal but was actually a marketing tool to promote Fosamax and other drugs. Samples of the journal surfaced in a civil lawsuit against Merck over Vioxx. The articles included only positive conclusions about the drugs. Twelve were dedicated to Fosamax. Many of the supposed articles had no authors and few references. Elsevier admitted Merck had sponsored the publication, but it did not include disclosures to indicate the sponsorship. Critics said it was a ploy to trick doctors who might be influenced by the publication.